Mario Tama/GettyDon’t pretend your fellow travellers are invisible. As a born-and-raised New Yorker, I’m an expert at ignoring people. 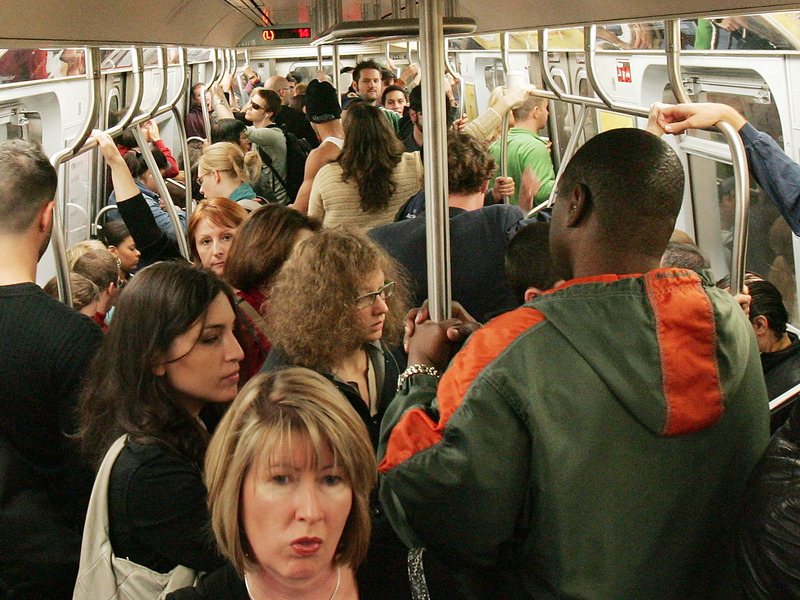 Nowhere does that skill come in handier than on a crowded subway, where my limbs are often entangled with those of other riders, our faces close enough for me to smell the latte on their breath. The key, I’ve learned, is to pretend they don’t exist. Seriously — don’t acknowledge the physical intimacy, don’t try to crack a joke about it, and definitely don’t use it as an opportunity to ask where they’re headed. It’s a way for everyone to maintain their sanity and happiness until they de-board. Or is it? I recently spoke with Nicholas Epley, a psychologist, professor at the University of Chicago Booth School of Business, and author of the 2014 book “Mindwise.” In the book, Epley highlights a study he conducted with Juliana Schroeder, a professor at the Haas School of Business at the University of California Berkeley, which found that people are much happier on their commutes when they engage another passenger in conversation. Results showed that passengers had a much more positive commute when they talked to a stranger than when they sat alone or did what they usually did. Perhaps surprisingly, those who talked to a stranger didn’t report being less productive than usual. The results of another experiment shed some light on why people feel this way: They generally think that other passengers don’t want to talk to them. Alex Wong/GettyMaking conversation with the barista could leave you happier. The big takeaway from these studies is that we aren’t always the best predictors of what will make us happy. As for me, I’m going to try (keyword: try) to overcome the feeling that other people aren’t interested in talking to me, and ask what they think about the sunshine, or compliment their swanky bag. As long as I don’t comment on the fact that their armpit is currently resting on my ear, everything should be totally fine.